Please be aware that in 7 days’ time, lastminute.com will be decreasing commission rates on our Experiences and Entertainment commission groups. 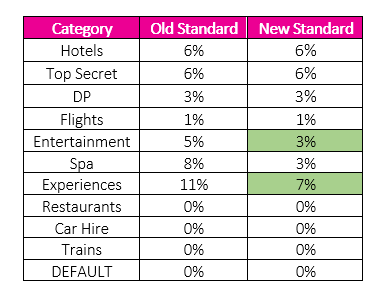 Experiences will be reduced from 11% to 7% and Entertainment will be reduced from 5% to 3%. If you have any questions regarding the programme, please don’t hesitate to contact uk-lastminute@awin.com.